You DON’T want to hear from your child … “Mum, if we tell you something, will you promise not to get us into trouble?” Oh Lord, what had my 12 and 14 year olds done when I was out shopping? The boys and my husband were extremely quiet, and there was a tense atmosphere in our home. Something, not good, had definitely gone down. Sons sat opposite me at our kitchen bench and told me what they had done to their Dad … this time! We live opposite a lot of land that has cattle on it, and in the summer we must be careful of snakes coming into our residential estate. In Australia in summer, we can get days as hot as 40 degrees (which is 104 Fahrenheit), and a week of this weather can be very stressful. This extremely hot day, sons went for a ride on their scooters around the block and found a dead snake on the footpath. They explained to me that they used the front wheel of their scooter and “sawed” the snake’s head off so they wouldn’t get hurt with the dead snake’s fangs and venom, put the snake’s body on their scooter, then sneaked it home. 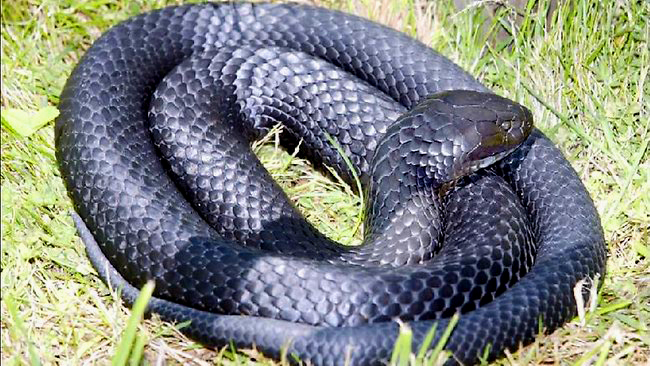 Just so you know, Australia has some of the deadliest snakes in the world! I started to break out in a sweat, because when their colluding little heads get together it usually means one thing only – trouble! Son explained that when they got home, they put the snakes body around the paint tins in our garage, so that when their dad went outside he would think there was a snake in the garage. They thought it would be funny. Our garage is a bit like their man-cave. When the garage door is up the view is incredible, looking over the green wedge; and as far as the eye can see, there are no houses to block the beautiful panoramic view of the mountains in the distance. It’s the perfect place to contemplate the day, or even just relax in a peaceful space. Apparently Big brother picked up the snake by the tail and swung it around like it was a lasso then let it go and flung it into the paddock across the road. When they turned around, laughing their noggins off, their father looked like he was having a seizure! He couldn’t even speak to them as he was stuttering, and grasping his chest. He couldn’t comprehend what he’d just seen. Sons, still laughing, said “It’s alright Dad, it was dead! We cut it’s head off before we bought it home!” They burst out laughing before realising their Dad did not find it one bit funny. All he could think of was his boys put themselves in grave danger and he couldn’t fathom it was another one of their pranks. They sat in front of me and finished their story. Both of them were shame-faced. I looked from Son 1 to Son 2, and couldn’t speak. I kept my lips clamped together and the pressure build up caused my face to turn bright red. I couldn’t hold it in any longer, and roared with laughter. How could I get them into trouble.